Before your lesson on prayer, print the bookmarks below onto heavy paper or card stock. Provide markers, a hole punch, and 8-inch pieces of yarn. Cut apart the bookmarks so you have one for each child. 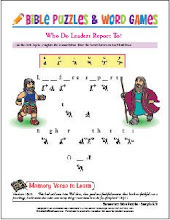 During the lesson, have a child read Psalm 5 aloud. Talk about how God hears and answers our prayers. Talk about how prayers do not have to be fancy or use big words for God to hear them. Have everyone say verses 1 and 2 of Psalm 5 together a few times. Then give one bookmark to each child who can say the verse from memory (with your help). Help the child punch a hole in the top of the bookmark and add a yarn tassel. Make sure names are on the bookmarks before they are collected. Click on the image above to purchase. Close with a time of prayer. Mention any prayers that have been answered during the week. Let each child pray for another one. Encourage your students to talk to God in prayer throughout the week. The NIV or KJV version bookmarks are available for purchase for only $1.99! You can print as many as you need for your students.